Run over to Michele’s place and check out what she had to say about Lanternfish. She’s a very supportive author and blogger, so check out her site while you’re there. I spent all day Saturday sending out blog tour posts. It’s part of the author gig. If we don’t spread the word, nobody will read the books. I managed to shape eight of them up to the point of being worthy. I sent out two more today, along with an interview. I have one more interview to respond to, but that host said I could have a week if needed. It’s hard for me to admit needing it, but I do. Honestly, I worked a full weekend, and don’t feel like I had any time off. This isn’t a good situation, but one I must endure. The funny part is most of these posts were hacked out a month ago. I had no idea who would get each post, so I had to customize all of them depending upon which host they went to. There will be a lot of reblogging going on here during January. This is my attempt to pay back those who hosted me. I have a decent following, and if I can bring my hosts some traffic, it’s the least I can do. Every post is unique, so it isn’t going to be like following one of those cover and blurb tours. Some of them lend themselves to some decent conversation, and I’m looking forward to the comments. I also went with more excerpts this time. Those usually spark some interest, so why not? You can find each post by checking in here, since I’ll be reblogging. About all we did beyond that was date night. We had a gift card that provided our pizza and beer. Even it was quick so I could go back to work. This is all part of the glamorous author life. I’m not enamored with promotion and enjoy drafting new material much more. Still, it must be done. Maybe I’ll get back to new fiction in a couple of weeks. You can help spread the word by visiting the posts along the way. Tweeting, sharing on Facebook, and reblogging really help, and might help my hosts too. 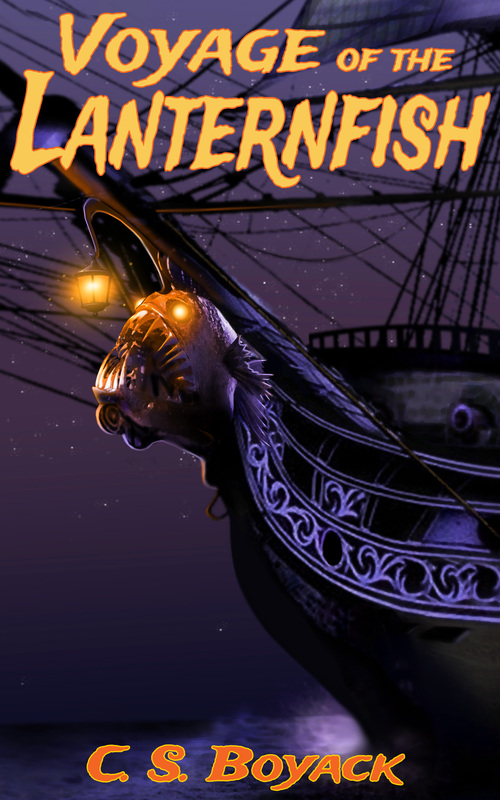 You can also express interest in Voyage of the Lanternfish over at Goodreads and BookBub if you’re on those sites. That’s about it for me this weekend. I’m pooped, but got a lot done. I look forward to chatting with everyone along the way. Voyage of the Lanternfish is a book. Okay, officially it’s a draft, but spot me some of the emotion of finishing the damned thing for a day. I could have easily finished yesterday. I was on a roll, but my wife got home from work, and with two more days off I wasn’t worried. Some of you like to keep score, so it’s at 105, 503 words. This will likely go down in my editing phase. That makes for about 1500 words before I called my parents this morning. My cool new monster did his job, and the pirates freed him to terrorize a small village somewhere. I think his abilities are pretty cool, and hope my readers will too. In typical fantasy fashion, the girl is rescued, the enemy is smited smitten, and the ship is sailing over the horizon. I also managed to shave the girl’s head because of lice, and embarrassed the captain a bit in front of his men. Now it needs to rest. It goes in the fermenter for at least two weeks while I regroup and work on other things. Then I can start those editing passes. I’m sure the Raven of Doubt is already circling over the writing cabin in anticipation. I dropped a couple of scenes, because I believe in short denouements. One involved the discovery of a sea battle gone wrong, and another involved a chipped tooth from blowing a conch shell horn. That was a minor character, and he hasn’t earned the page time. I assembled an upcoming Lisa Burton Radio interview, then got it scheduled. I followed that up by writing a shtick for another one and got it sent to the author. Lisa still needs guests, so if you’re interested drop me a line. I’m working into September right now. I think I’m done today. I’m up tomorrow at Story Empire, and may write a companion piece to that post over here tomorrow night. If I do, I’ll link to SE from here. The dogs drove me nuts last night. I pulled some light clothes on and went to sleep on the couch. Something about scratchy Frankie paws on my neck, and about 60 pounds of Otto on my leg wasn’t working for me. Old What’s Her Face got me up when she went to work at 3:00 AM. She suggested I try again, since she wouldn’t be in the bed at the same time. I was in a pouty mood and intended to just get up and get started, but I gave it the old college try. I still had to nudge Otto off of me, but managed to sleep until 6:00. I spent the first two hours puttering on things. This is my normal process, but I dragged my feet, because I call my parents at 8:00. After the phone call, I decided to give it a try. I wound up making some decent progress. It feels like 1500 to 1800 words. Not bad at all for a Sunday. This was a transition phase, and those are slower to write. My pirates sailed to the uncharted island, and are now prepared to go ashore. I put some effort into approaching the island through a thick fog, and the dangers that might present. There was a shipwreck, some big lizards that we’ve seen before, and something I called a black shark from out of the blue. I expect this island to take up some time in the story. There are several things that have to happen. I’m debating making it a place that is in constant fog, and letting my pirates see bits and pieces of it. To my mind, it keeps it kind of mysterious, and will let readers know this is a big world. There are people here, and there will be monsters. I stopped when I did so I could daydream about some of it with more specificity than before. For those who are keeping score, I’m at 81,600 words. I’d like to hit 100K, and it feels like I can. That’s long for me, but this is an epic fantasy. It may not be formal fantasy, it’s a kind of flintlock fantasy, but fantasy just the same. I picked yet another basket of peaches this afternoon. Peach waffles tomorrow morning for sure. I’m off tomorrow, but so is my wife. This usually isn’t the sign for a good writing day, but we’re going to have a date lunch out of the deal. We ought to be able to get in to Old Chicago and have pizza without the long lines and waits. I dabbled early this morning. Ate some peaches, checked some social media. Then I reread my last chapter. Turns out there were some ‘its’ and ‘they’re’ errors to fix. Not to fear, these are on my word search before I ship it out to beta readers. It was a weird writing day. I wrote a bit, did other things, wrote a bit more. It still came out to around 3000 words. This is a simple chore for the pirates, but there are some game changing things going on. Most of this will come in the form of news they haven’t received yet. I just need to figure out what that is… A war is either starting or about to start. Things aren’t going to be as simple as sailing about and accomplishing goals. There is a new threat on the seas. The enemy has stripped their ships so they can refit the guns for land war. This turned out kind of handy, but there comes a time when the ships will be refitted. My captain revealed some philosophy about warfare that he learned from his father. This turned into a fair bit of dialog with his best friend. I did not force the readers to live through the monster encounter, but let the root monsters relay it instead. Old Hogar, the monster turned out to be a bear. I’m kind of happy with the back and forth about his size. The description of ‘about as tall as you are at the shoulder… if you were sitting atop a horse,’ came out well. 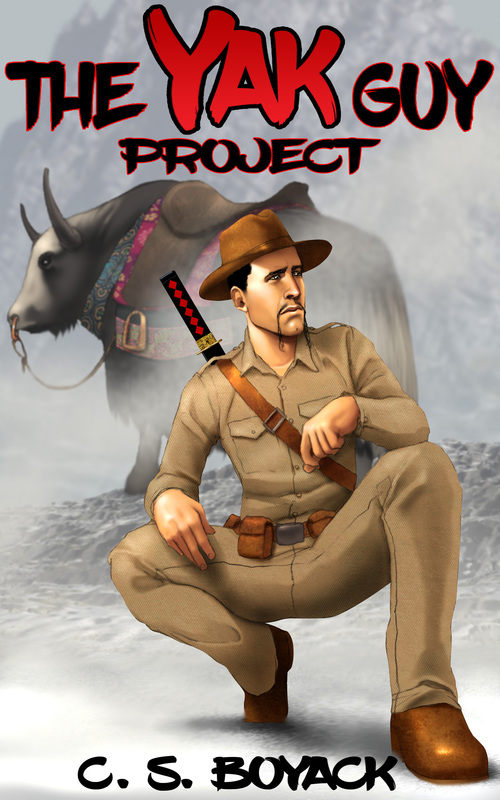 I actually recycled it from one of my trunk novels. Bears don’t actually get that big, but in fantasy they do. Note to self: Probably need an excerpt of a root monster story for promotion purposes. My outline is fast disappearing. I’m down to one major stop, some minor events, and a big finale. Then I have to concoct a denouement of some kind. I only stopped because I need time to think about a meeting they’re going to with a semi-friendly military man. They’re all on the same side, but pirates aren’t generally the type you make allegiances with. Thinking through this section will only make it better. I can come up with some minor tension that will still let the big events happen. 78,771 words and counting… or was that the number of peaches I ate this week? Back to work tomorrow. That will give me four commutes with my Muse to work things out. I didn’t hit it with a vengeance today. My crew is in a new country, and I needed to get some of the flavor on the page. To do this, I used one of the unexplored supporting characters and weaved in a bit of his backstory. I think it worked out pretty well. He’s from this continent, and has proven useful. The advantage is to have built fences. Now I have to live within those parameters, and I find it helpful. I could go back and change everything, but I usually find this to be a positive step. I’ve decided to let them tour outside the city while the foundry prepares their order. I’m thinking something do do with wine production, maybe stomp a few grapes. I think I’ll include some bee keeping, which could lead to some mead drinking as well. It only seems logical that people who spend months on a ship would want to do things off the ship when the chance presents itself. Maybe I should buy a good bottle of mead for inspiration. I’ve done stranger things. Somehow, they should have a new problem to face when they get done playing in the countryside. It doesn’t have to be major, but I think the story would benefit from that. It’s time to do some more daydreaming about this issue. Writing took me up until noon, but it was enough. I broke the 70,000 word barrier, and there is a lot of story to write yet. I usually suffer trying to stretch something to novel length, but that won’t be a problem here. I dabbled with Lisa Burton Radio, but that didn’t take much time. Most of my afternoon was spent watching a baseball game. They won this time, so maybe my curse is broken. I hope so. It’s a lot more fun watching your team win. Tomorrow is the day I call my parents, and my wife is driving home too. I don’t expect to get much done, but you never know.